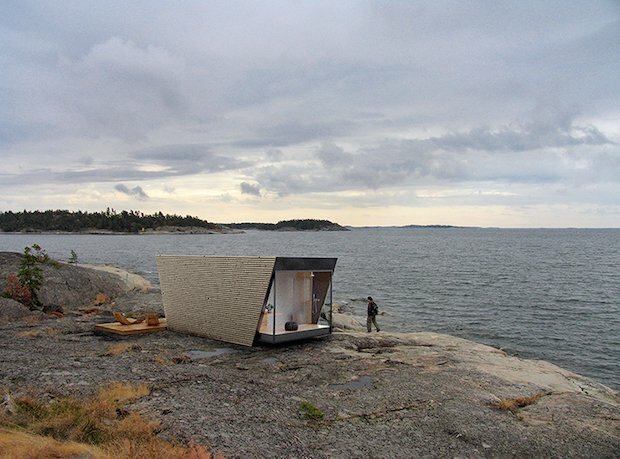 Designed to be a temporary dwelling within nature, DROP box is the latest addition to the micro-architecture collection of movable hotel units. 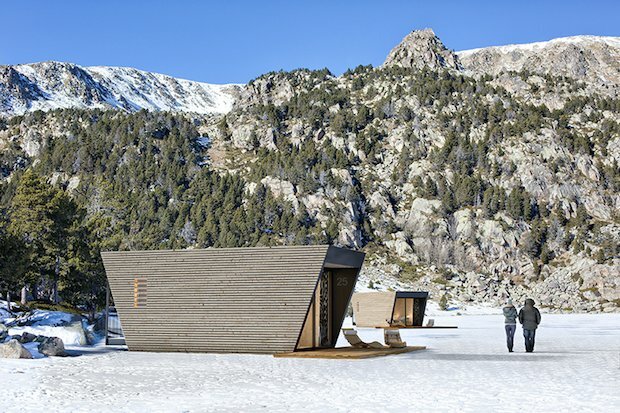 These hotel units are prefabricated off-site for ease of transportation to site, as well as disassembly thereafter. 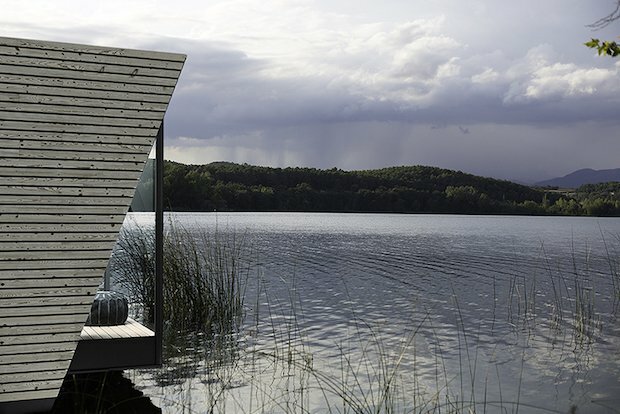 Being modular in nature, there is also flexibility to customise and add on more rooms with little impact on the surrounding environment. Not only are these hotels ecologically friendly, they are also extremely well appointed to ensure comfort of the guests. A typical unit consists of 2 bedrooms, 1 bathroom, and an outdoor terrace, suitable for couple or small family of 4. Large windows provide ample daylight and extensive views of the surrounding nature. 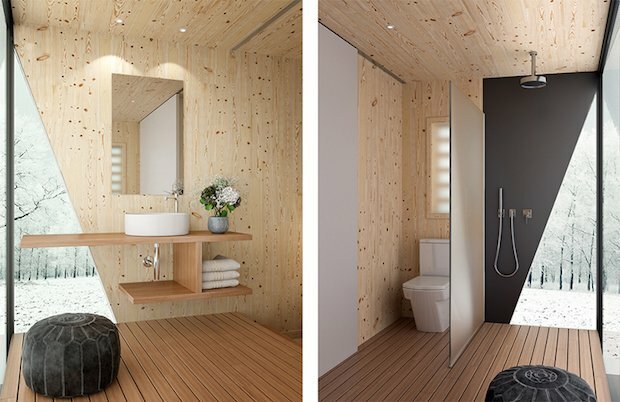 Wood is primarily utilised in the construction, given how it is a renewable resource that requires less energy to produce, extract and transport than more common ones. 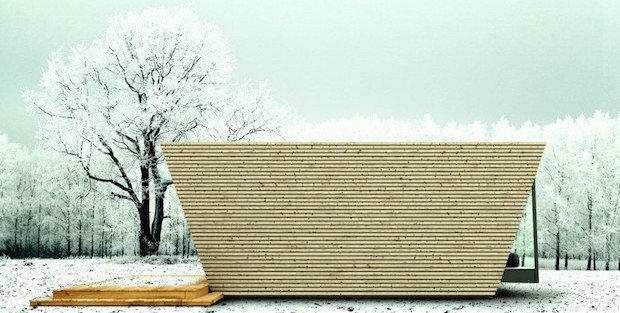 This natural material offers a solution for environmentally conscious use and a warm interior design.